Dr. Kim was born in Chicago and received both his bachelor's degree in medicine and his M.D. degree from Northwestern University. He completed a fellowship in male reproductive medicine and surgery at Baylor College of Medicine in Houston. He was also named a research scholar by the American Foundation for Urologic Disease, also at Baylor College of Medicine. 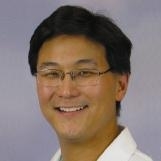 Dr. Kim has an active interest in infertility, male erectile dysfunction and prostate cancer. He is a leader in the surgical technique of nerve grafting during radical prostatectomy for preservation of potency. Thank you for contacting Edward D. Kim, MD, FACS. For a quicker response, call directly at (865) 685-4123 during office hours.